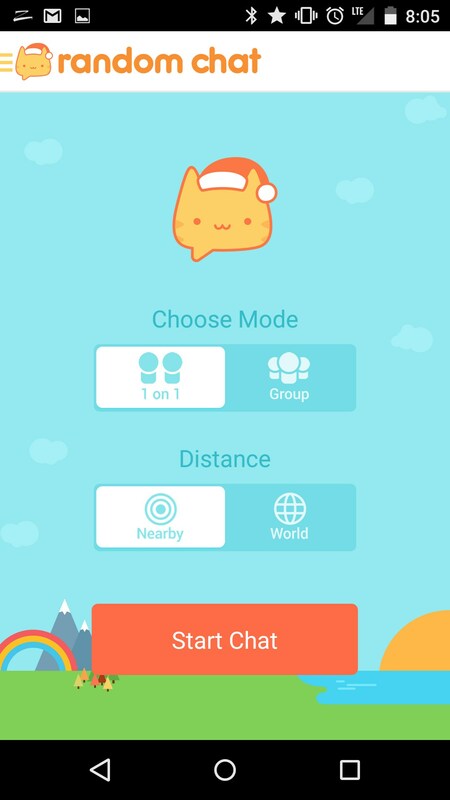 MeowChat – Soft for Android 2018 – Free download. 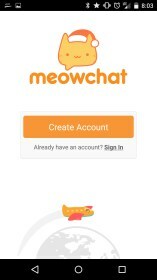 MeowChat – A purr-fueled messenger app. 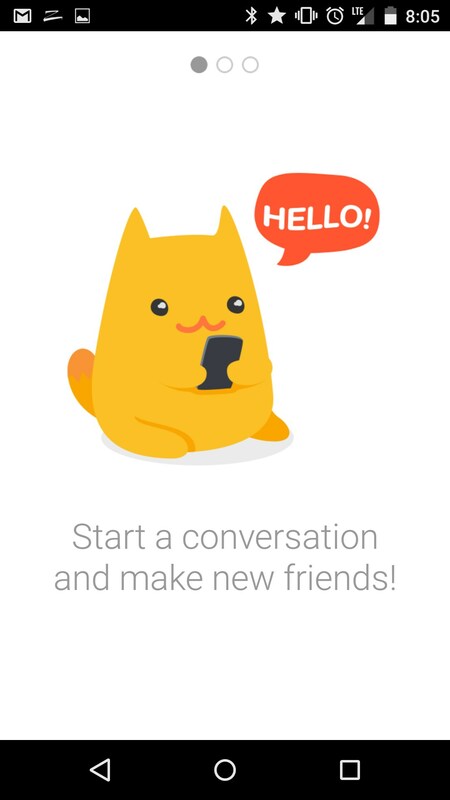 Have you ever dreamed of having a messaging app completely decked out in purr-fueled swag? 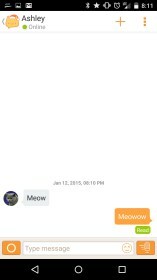 Of course you have, you’re on the internet! Well, wait no more! 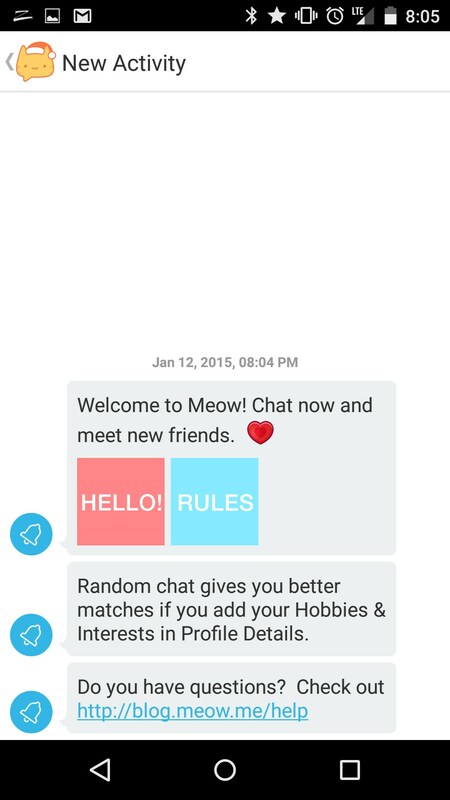 MINUS has come to make all of your dreams come true by releasing MeowChat for Android. 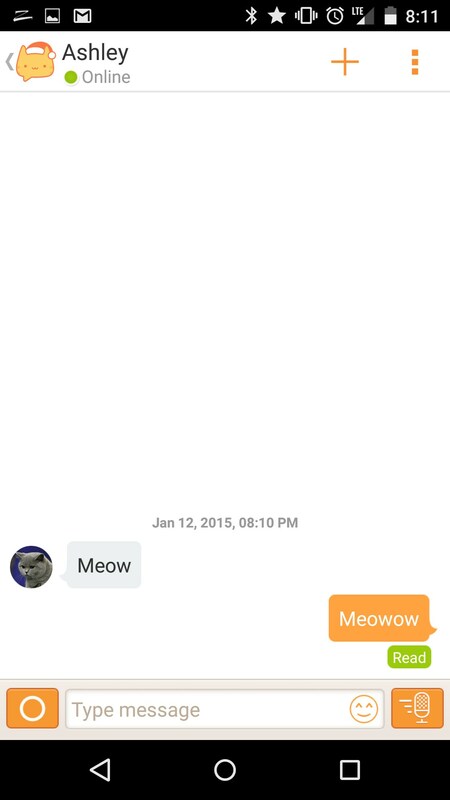 Honestly, if it wasn’t for the cat theme, this app wouldn’t have much going for it. One key feature that gives it some kind of identity, aside from the cats, is its ability to pair you up, one-on-one, with anyone around the world to just chat with. 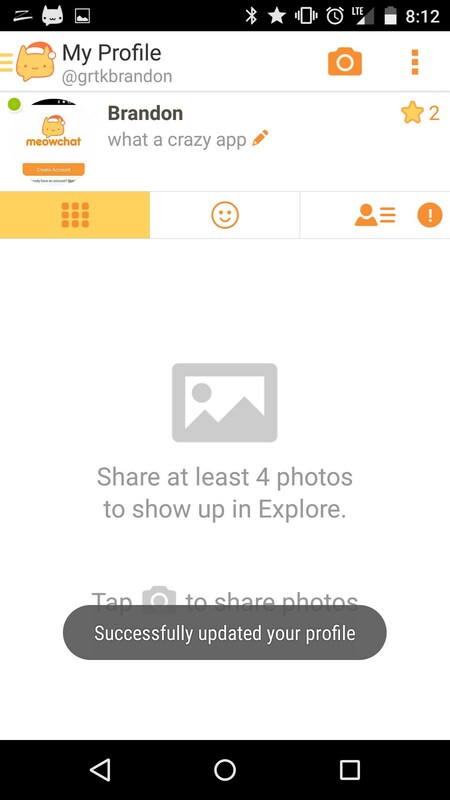 Yeah, it’s like chatroulette for your phone but minus the risk of stumbling upon a site you might not want to see. 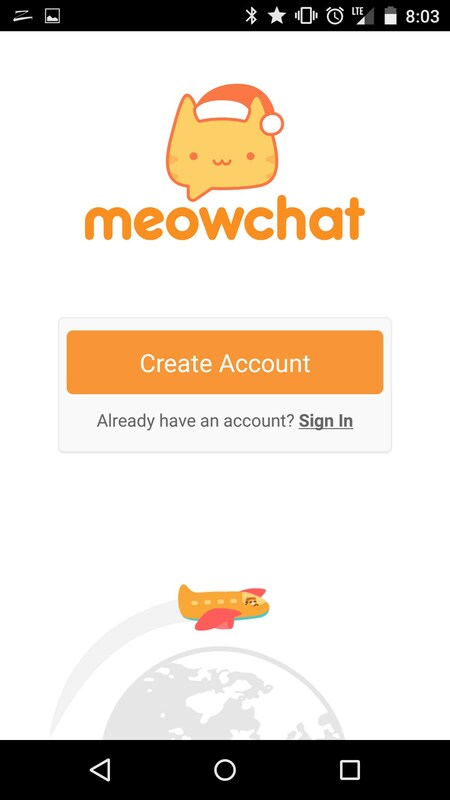 Aside from that, the app makes all of its users sign up for an account before they can start chatting, which means you’ve somehow got to convince your not so cat friendly friends to sign up for the weird, I mean awesome, cat app. 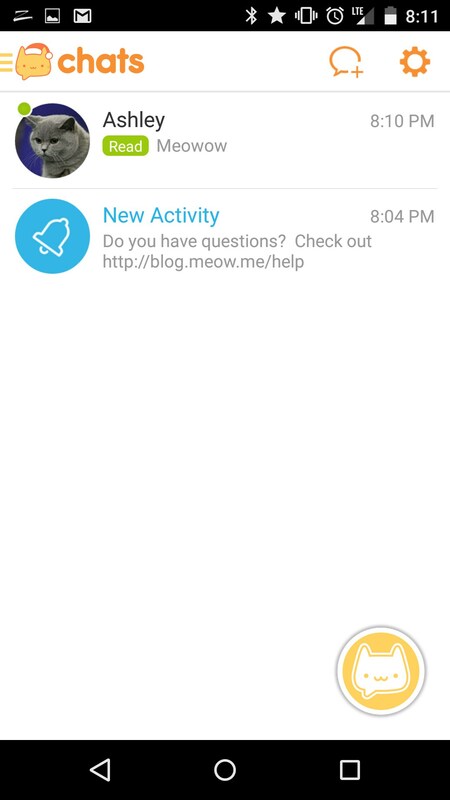 You get some social features packed into the messenger as well, like the ability to upload photos to your profile, update a status, etc. Nothing game changing, though. 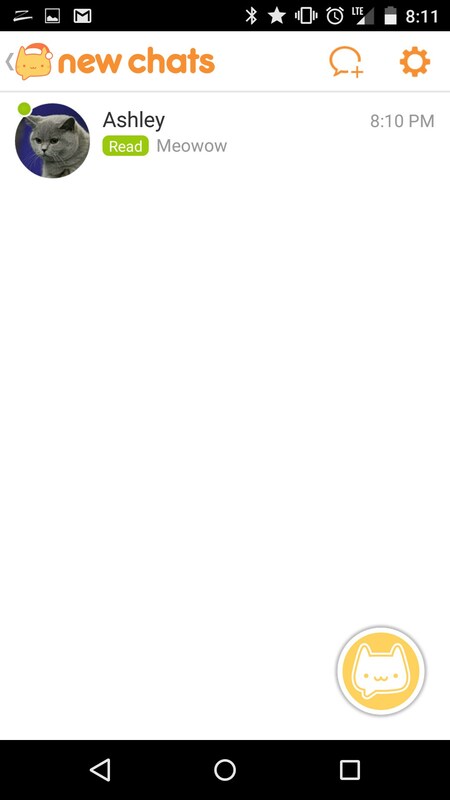 If anything, it’s a bit of useless feature now that every app we use seems to be asking us how we’re feeling at that exact moment. 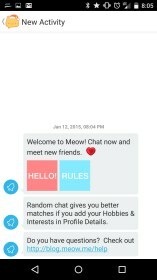 The chat function in MeowChat is completely functional, and the app overall performs well. I didn’t notice any stuttering or lag. 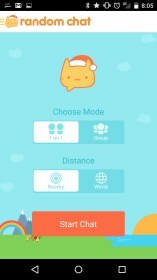 The biggest issue this app faces is its niche audience. There aren’t many people that are going to be proud when they whip this baby out to show all of their friends. Oh, the Carnage! The Humanity! The Barbarity! Eeek!